The upcoming legalization of recreational cannabis will pave the way for much greater demand for rental and retail properties in Canada’s most dynamic markets, according to a new analysis by RioCan Real Estate Investment Trust. Legalized marijuana – which can drive demand for as much as 200,000 square feet (19,000 square metres) of retail space, per RioCan estimates – is expected to lead to the proliferation of facilities in Ontario, which remains the leading choice of provincial market among Canadian cannabis producers and sellers. Pot companies said that they would proceed with establishing said facilities once the provincial government allows private sales of the herb – a move that would considerably diverge from the existing set-up where sales are conducted by government agencies (e.g. the Liquor Control Board of Ontario). 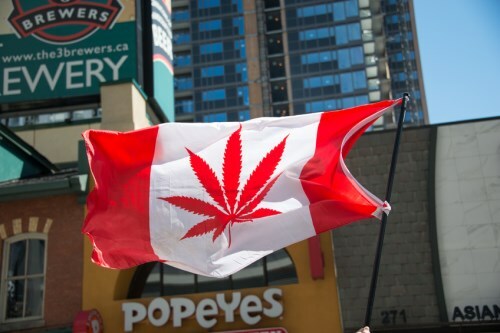 “There’s no question that whatever rules finally come down, they’re not going to want four cannabis stores at one corner — there’s going to be some control over that,” RioCan CEO Edward Sonshine said last week, as quoted by Bloomberg. The heightened demand will begin once retailers start “looking to stake a claim at the best locations, many of which we own,” the executive added. Edward Jones & Co. analyst Matt Kopsky noted that the October legalization represents a significant opportunity for firms that have access to large expanses of commercial real estate, such as RioCan.